Well after a summer off I’m back to the meal planning! Thanks to all those who asked about it. This week is nothing massively inspirational. 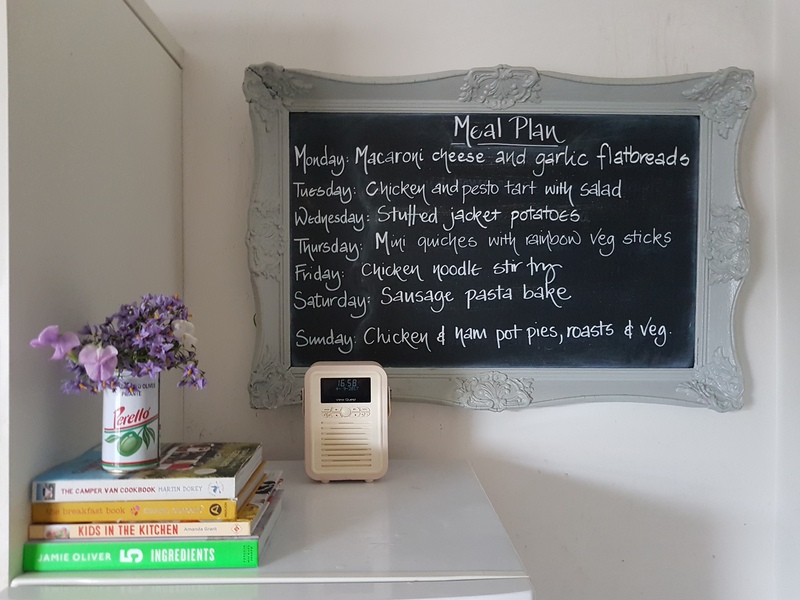 It’s about avoiding the 4pm brain freeze about what to cook and a bit about stocking up the freezer and generally making life easier as the chaos of school routine ensues. A couple of you have asked for some of the recipes. The chicken and pesto tart or parcels was an idea I’ve adapted from the recipe cards that sainsburys used to do. I still like their magazine for good practical ideas. You can do it as a tart or parcels and either freeze well. You can also add spinach, chopped cherry toms or anything else you think will work! Roll out the pastry to a large rectangle. Score around the edge leaving about 2cm gap. Mix the pesto and soft cheese and spread over the pastry inside the scored lines. Shred the chicken and spread on top with the toms and spinach. Cook in the oven for about 30 minutes at 180°c until golden. If you want to make parcels, just cut the pastry into rectangles, fill half and egg wash the edges. Fold over, pressing the edges down with a fork. Egg wash the top and cook in the same way. Macaroni cheese is a staple in our house. I always make a double recipe and freeze some or use for lunches. I use an old Stork margarine recipe which my nan and I used to cook together. Melt the butter and add the flour and cook out. Whisk in the milk and keep whisking until the sauce thickens. Add the cheese and macaroni until melted and combined. 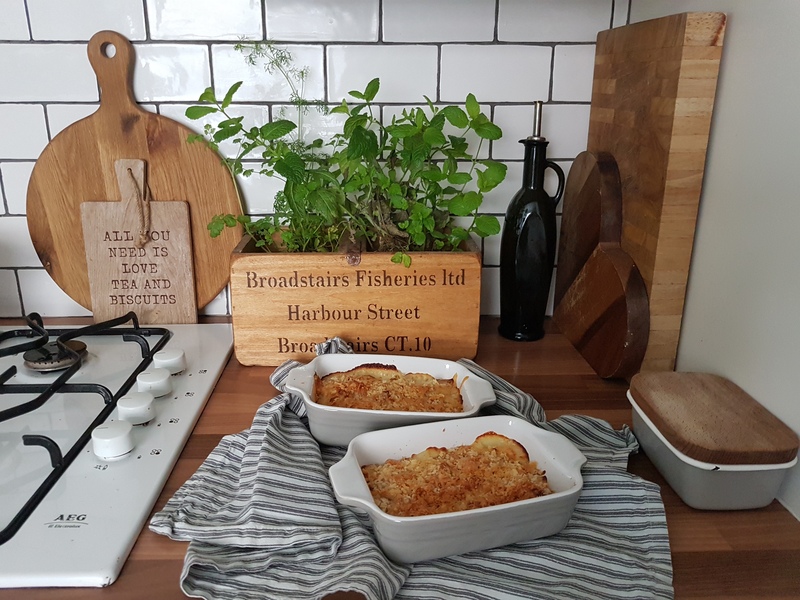 Place in baking tin and top with cheese, breadcrumbs and a pinch of paprika. Cook at 200°c for 20 minutes until golden. As always let me know if you try and of the recipes and if there’s anything else you’d like to know. < Previous You can’t buy happiness… But you can hire a camper van.